Through the "Friends of Palomar" and CalTech, we are able to provide this "Once-in-a-lifetime" opportunity to a limited number of participants. The tour will be on Saturday August 3rd, at 10:00 a.m. sharp. Do not be late. The tour will start on time and you cannot join the tour once it has begun. 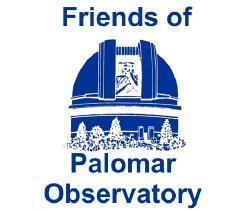 We recommend you arrive early to allow for time to park and to make the five minute walk to the observatory. The total tour length including your driving time is approximately five hours. Reservations are required! 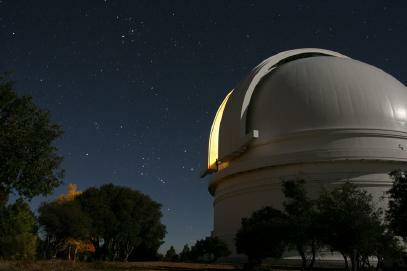 Please note: In accordance with Palomar Observatory rules, the tour is not recommended for children under six years of age. Sorry, no pets. 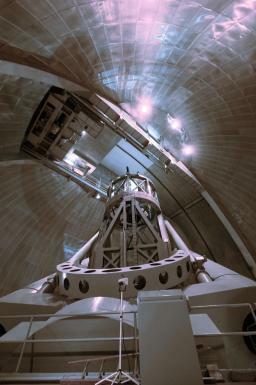 For $25.00 per person, 30 people will be given a guided tour of the Hale 200" telescope. 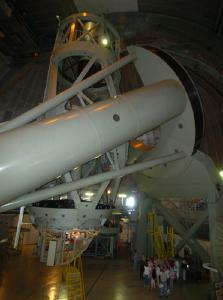 This tour includes the lower observatory floor, with the massive foundation of the 530 ton telescope. Moving up in the dome, you'll reach the main floor, where the 200" scope resides. Get "up close and personal" with the scope. Then move up higher into the dome, to the dome catwalk. 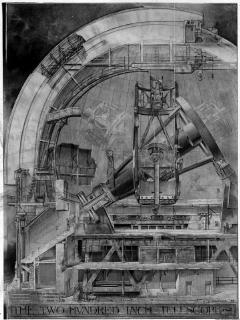 Following the tour of the 200-inch, the group will reassemble in the outreach center (OC) nearby for lectures and discussions of Palomar Observatory history and science. You are welcome to bring a picnic lunch or if you prefer, you can pre-order a boxed lunch to enjoy with the group in the OC. Cheesy apple sandwich: thin slices of Granny Smith apple, sharp cheddar cheese, red onion, and Granny's homemade horseradish/dill aioli sauce on grilled whole wheat bread from Dudley's Bakery, served with pickle slices on the side. The cost for a boxed lunch is $10. All orders must be confirmed no later than August 1st and can be paid for online (Coming soon). To register please use this link or contact us at julianstarfest@sdaa.org. Registration confirmation will be sent by e-mail, along with your tickets and maps to StarFest. 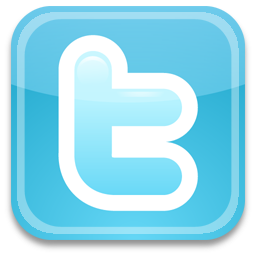 Please include your e-mail address with all registrations.